Our patented Radius Arms feature a full tubular structure strengthened by dimple die side plates, with an adjustable alignment cam at the axle to allow caster adjustment. Front lift includes Dirt Logic 4.0 Coilovers. 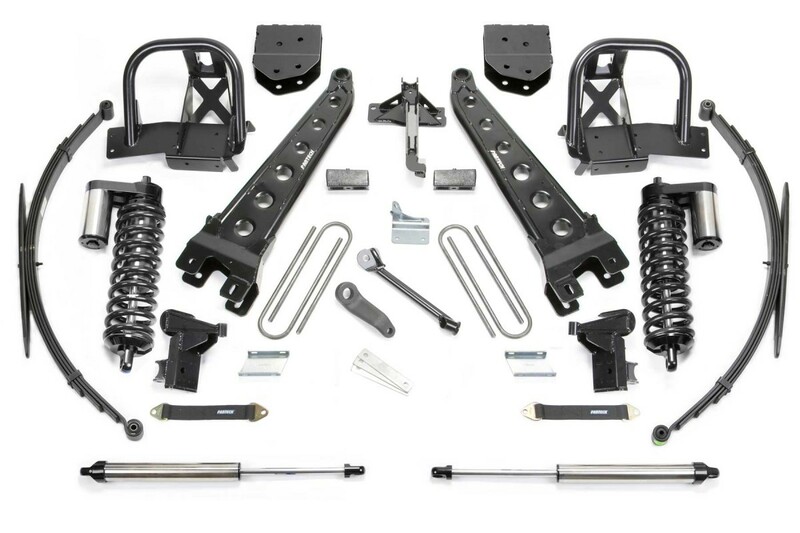 Completing this system is a Trac Bar relocation bracket, Pitman Arm, Sway Bar drops and more. Rear lift comes from replacement Leaf Springs.